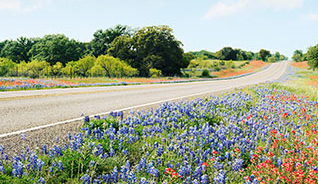 There’s a rumor going around Texas that it’s illegal to pick bluebonnets, the state flower. Anyone who has spent at least one spring season here has probably heard it. But is there any truth to it? There is actually no law that prohibits picking bluebonnets in Texas, according to the Texas Department of Public Safety. However, in certain areas, it may be illegal or dangerous. Also, it’s important to be courteous and take care of the flowers so that all Texans can enjoy them. 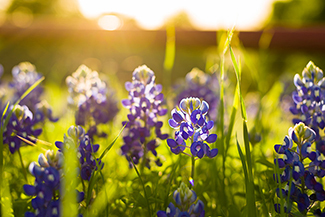 Keep reading to learn the dos and don’ts of picking bluebonnets. There are some areas where you should not pick bluebonnets. For example, there are laws against criminal trespassing, so ensure that you are not on private property. And if you plan to visit a Texas State Park for wildflower viewing, note that it is against the law to pick, cut, or destroy any plant life on park grounds. It’s also important to be aware that there are laws against damaging or destroying rights-of-way and government property. While picking a few wildflowers on the side of the road may not be illegal, you should not dig up large clumps of flowers, and you should never drive your vehicle into a field of wildflowers. Many of the wildflowers growing on the side of the road are annuals that won’t reseed if they are picked or trampled. Park off the roadway, parallel to the road in the direction of traffic. Park on the same side of the roadway that the flowers are on. Don’t cross lanes of traffic on foot to get to the wildflowers. Always signal before leaving or entering the roadway. Obey all signs that prohibit parking on the roadway.